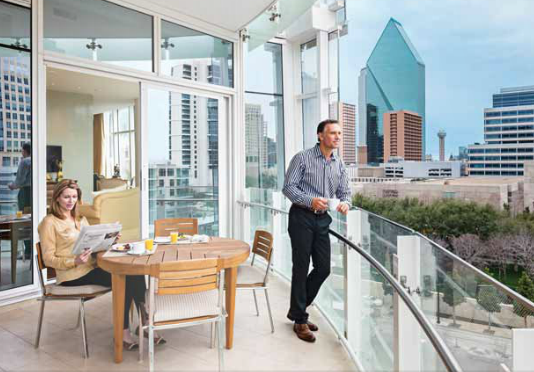 Imagine being able to step out onto your spacious veranda and marvel at the cosmopolitan ambiance of streets filled with Dallasites enjoying the multitude of events #NearbyMuseumTower. Create a custom agenda at a moment’s notice when you live in the heart of the city. 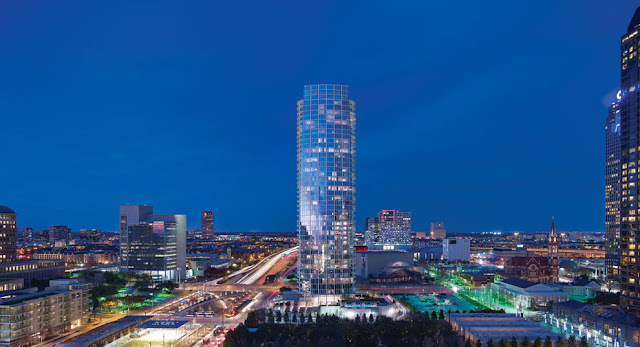 The convenience of strolling just a few blocks to join friends and neighbors as they enjoy a mid-week, after-work drink or taking the Museum Tower car to dinner at the latest addition to the Dallas dining scene, Americano at The Joule. How about an early morning Pilates session in a studio that opens to a serene Zen garden or a weekend afternoon spent playing bocce ball on your own manicured court? As the suns sets on the horizon of your balcony, might we suggest an al fresco dinner with family and friends on a beautifully appointed patio? Museum Tower owners live a life surrounded by the greatest of outdoor spaces, music and performing arts venues and cultural collections. The vibrant area of Dallas surrounding Museum Tower is home to endless entertaining options during the holiday season. Combine these inviting spaces with an iconic, Scott Johnson-designed building and luxury amenities and services, and it’s clear that Museum Tower owners embrace a cosmopolitan lifestyle that is unparalleled in opportunity and innovation—much like the city that surrounds them.